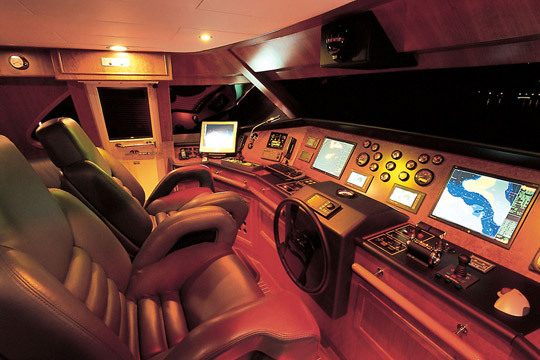 Luxury Motor Yacht IRIS is a Custom Line Ferretti launched in Italy in 2004. 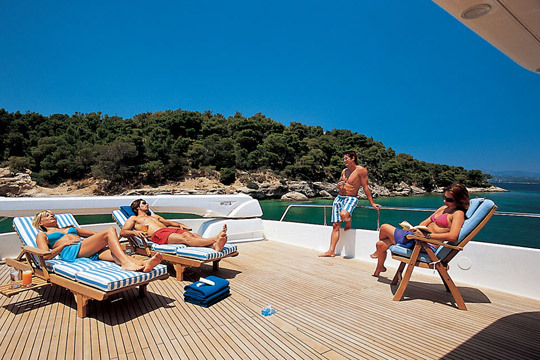 The yacht is based in Greece year round and can accommodate 10-12 guests. In Hellenic mythology, Iris is the messenger commanded by the goddess Hera. Her robe is the rainbow, linking heaven and earth. Today’s Iris is yours to command, to go wherever the sea meets the sky. 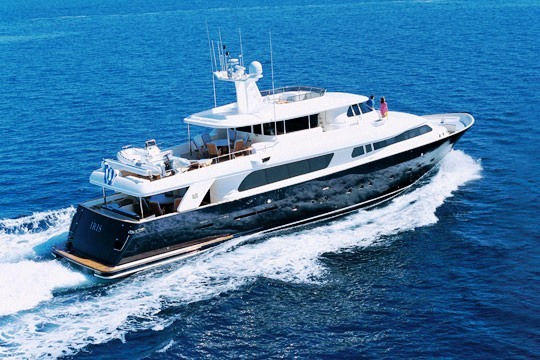 Iris was the first Navetta-class motor yacht from Ferretti, using semi-displacement technology for the smoothest possible ride in all weather conditions. 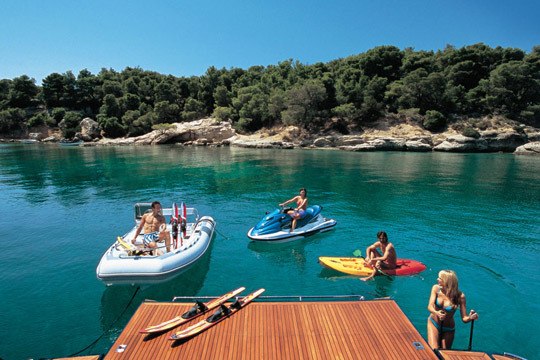 The stern door opens flat to provide a sea-level swimming platform, revealing a huge variety of equipment for every kind of water sport, while the sundeck offers total privacy for sunbathing. 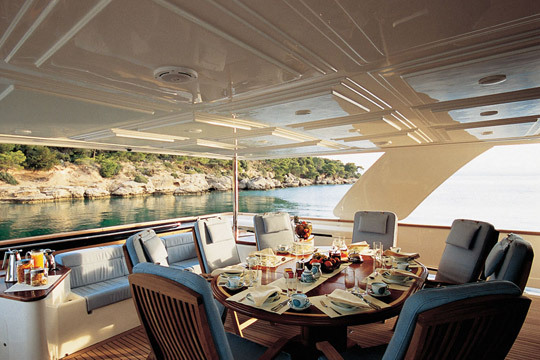 The upper salon gives an all-weather panoramic vista, while breakfast on the aft main deck offers a degree of open air opulence and comfort rarely found on board ship. 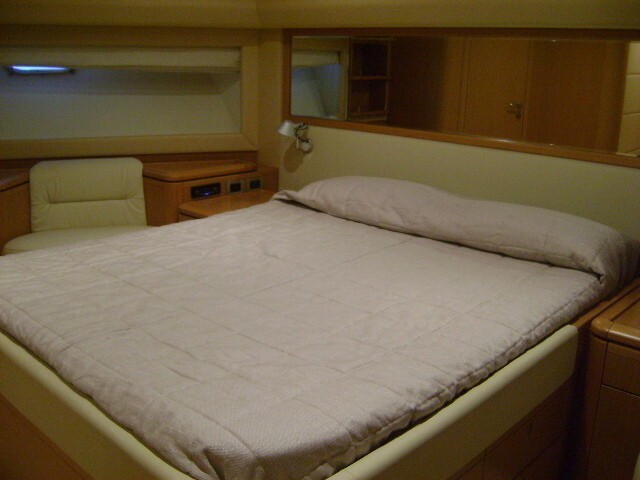 The full-width VIP cabin is the only cabin on the main deck, giving total privacy. 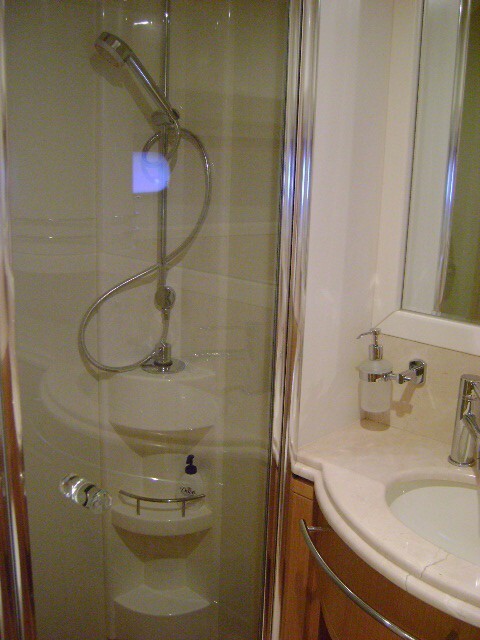 The en-suite marble bathroom features both a Spa Pool tub and shower. 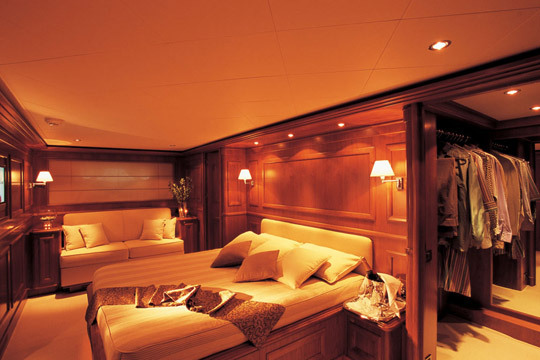 The spacious Master Cabin features a comfortable day couch, dressing tables, a walk-in wardrobe and en-suite facilities including Spa Pool tub. 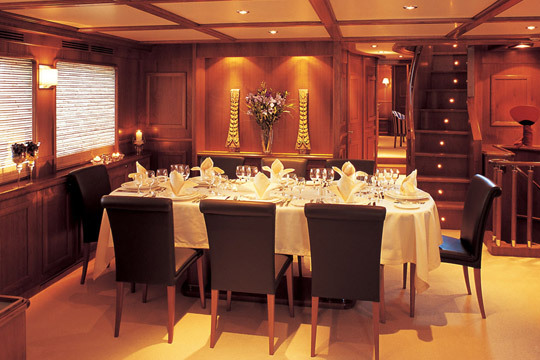 Also on the lower deck, one double and two twin cabins accommodate a further 8 guests. 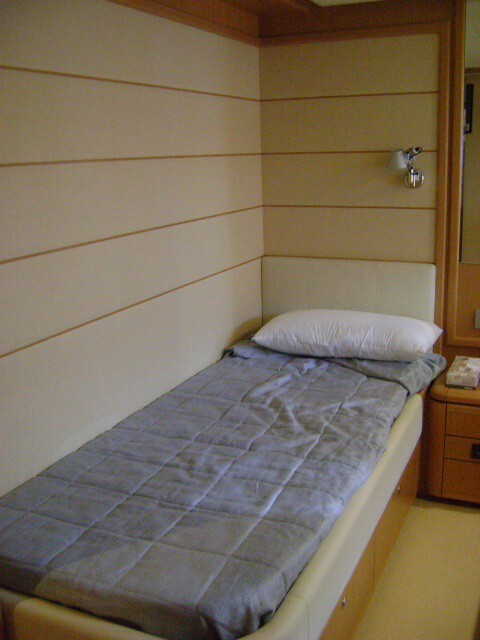 Both twin cabins have an additional Pullman berth. 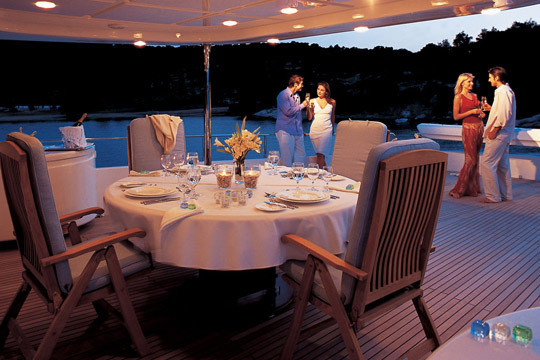 M/Y Iris' carefully selected and professional crew, will provide you and your guests with an unforgettable vacation. Her crew consists of a Captain, engineer, chef, two stewardesses and sailor. 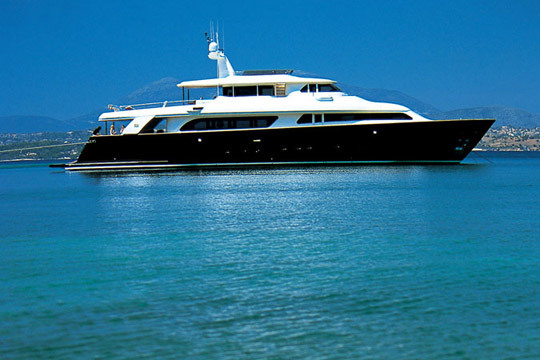 Greece based luxury motor yacht IRIS can accommodate 10-12 guests in 5 cabins. 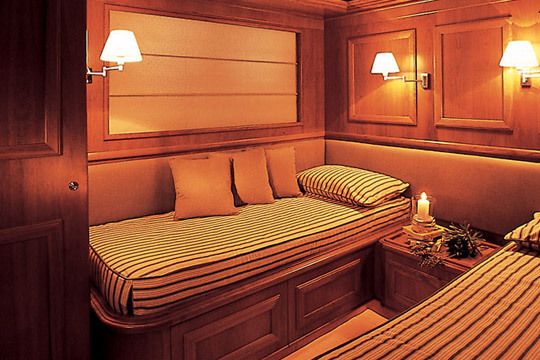 The cabin configuration includes a master suite, a VIP stateroom, one double and two twin cabins with an additional Pullman bunk bed. 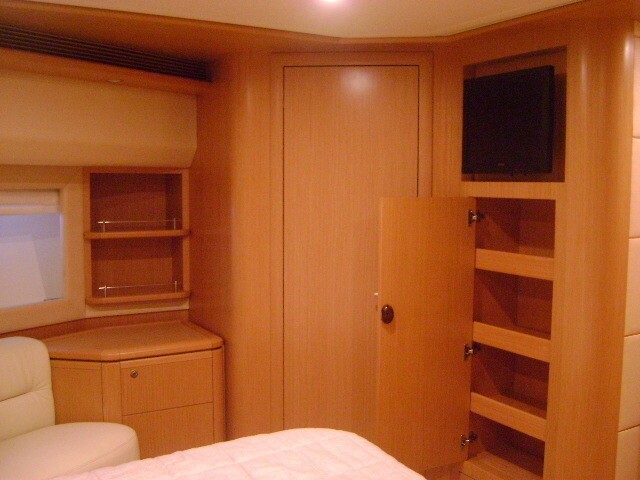 Each cabin has ensuite facilities. 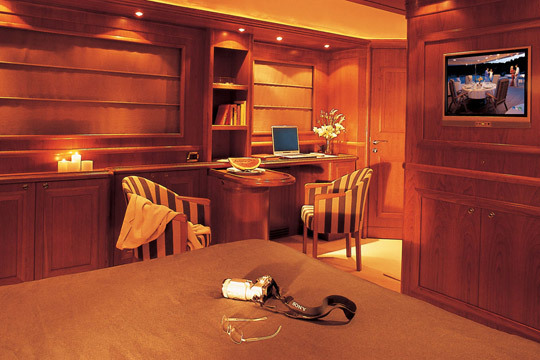 The yacht has an additional dayhead on the main deck and all crew are accommodated in separate crew quarters forward. Ferretti Motor Yacht IRIS has the following tenders & toys: a 4.6m Novurania Rib with 90 hp outboard, Waverunner, Water-skis, tubes, banana, canoe, kneeboard , Snorkelling gear and fishing equipment. 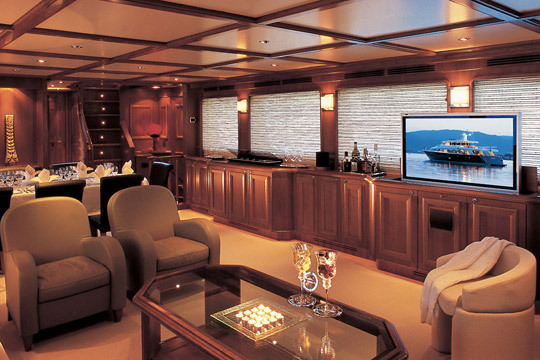 Inside, she has a Satellite Plasma TV, Audio/Video/DVD entertainment in the salon and an LCD TV with decoder in all cabins. Communications equipment onboard includes: A Satellite Telephone, a SatCom with fax, a GPRS/E-mail service and a GSM phone.